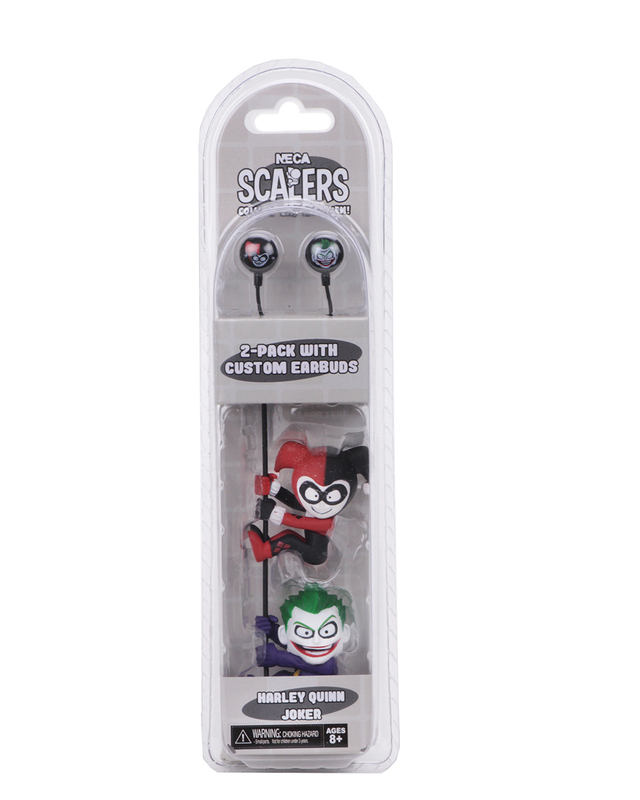 This themed set contains custom printed earbuds and two Scalers mini characters to attach. Wear one, wear both, trade with friends! 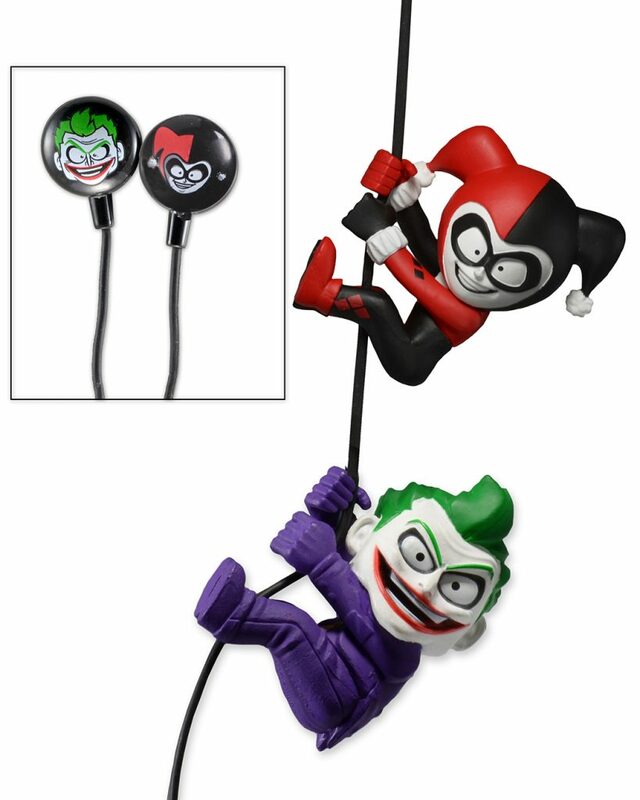 From the DC comic books, Joker and Harley Quinn measure 2″ high and can even attach to other cords and cables. It’s instant fun… just add Scalers.